Advancements in machine learning and artificial intelligence (AI) have been a topic of considerable conversation in the field of radiology. Research institutions from across the nation are reporting advancements in the use of AI and similar complex algorithms. For example, at Ohio State University in Columbus, Ohio, radiologists have created an artificial intelligence for analyzing CT or CAT scans. The use of artificial intelligence in radiology, as well as in other healthcare specialties will only continue to grow. With this in mind, here are three trends to watch for as this technology matures. As Dr. Bernard King pointed out in his opinion piece for the Journal of the American College of Radiology, artificial intelligence allows for the automation of certain routine task. 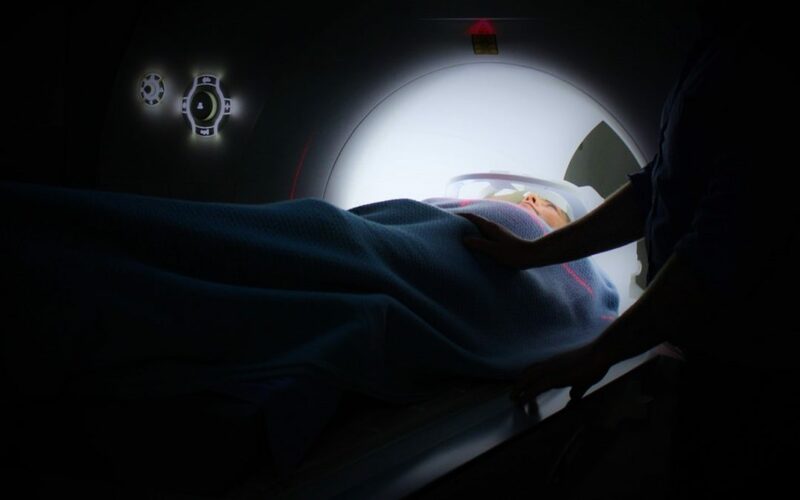 Newer AI programs can perform “automatic segmentation of various structures on our digital CT or MR images.” What took a trained radiologist many hours to do, can now quickly be done by artificial intelligence. Machine learning applications and deep-learning algorithms are excellent for quickly detecting and analyzing patterns. The ability to quickly compare images has been displayed by an AI program developed by researchers at OSU in Ohio. This particular artificial intelligence has the ability to analyze hundreds of CT scans in a matter of minutes. A task that is impossible for a human to perform. These scans included the ability to detect the existence of hemorrhages, masses, hydrocephalus and CVA (stroke). In the United States, there is a consent drive to improve the value of healthcare. However, there is the challenge and constant struggle between balancing cost, access to care and the overall quality of care. Some medical scholars have called this struggle the Iron Triangle of Healthcare. However, artificial intelligence has the potential to contain the cost while improving the overall quality of care. As value-based healthcare models are examined and implemented, AI technology will likely deliver more value. Artificial intelligence and machine learning algorithms can quickly process and learn from massive amounts of data and continually improve the AI’s accuracy. The hope is that the algorithm will decrease cases of missed pneumonia diagnoses. This should improve the workflow for radiologists and allow them to more quickly diagnosis more critically-ill patients. Computer programs by their very nature are better at detecting diseases from CT or MR images. They can multitask and look for appendicitis while also checking for low bone density. There is a limit as to the amount of information that a human can process, with AI-based applications easily able to overcome these limitations. Beyond the field of radiology, the U.S. healthcare system is transitioning from a volume-based model to value-based model of care. Artificial intelligence and other AI-related technologies are a vital part of the underlying reasons for this transition. It is already well-documented that Facebook’s software can identify faces in a group photo, while Google’s self-driving cars can recognize traffic patterns and road signs. Some researchers are predicting that it will be possible to train an artificial intelligence so that it can diagnose heart disease or strokes much faster and cheaper than a human could do. Other researchers state that the goal is not to replace healthcare clinicians, but to extend this computing power to other areas of healthcare in order to reduce medical errors. At the same time, there is a drive in the healthcare marketplace to increase efficiency and lower cost. Currently, numerous companies like Apple, IBM and GE are competing to develop healthcare-specific artificial intelligence applications. The focus on patient-specific technologies and data-driven solutions has the promise to improve the delivery of care while containing cost. Health systems, medical groups, insurance plans, pharmaceuticals and device manufacturers will all increasingly feel the effects of AI-related technologies and data-driven solutions. Whether it’s a hospital, health plan, medical group, pharmaceutical company or medical device manufacturer, the focus over the next decade and more will be on patient-specific innovative technologies and data-driven solutions that improve the quality of care while simultaneously reducing costs. Healthcare will continue to change with the development of more powerful deep-learning algorithms, increased access to big data, and better computer processing power. All of these factors will continue to drive the development of artificial intelligence in healthcare whether the individual clinicians and patients are ready or not. ABCS RCM is a company that provides medical billing, credentialing and digital marketing services to a wide variety of medical specialties. For additional questions about this topic or medical billing in general: CONTACT US.